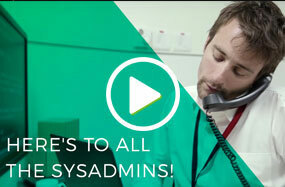 Sysadmin Day: Check out what’s in store for this Sysadmin Day. Seal back door accounts with efficient pattern-based alerts. Try EventLog Analyzer. Auditing and compliance: Office365 Manager Plus now supports MS SQL database. Server and applications: Monitor performance of PHP apps with Site24x7 APM Insight. Monitor and troubleshoot your SAP HANA databases with Applications Manager.